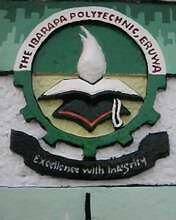 The Ibarapa Polytechnic, Eruwa hereby invites applications for admission into the following programmes for 2016/2017 academic session. Candidates seeking for admission into any of the programmes must have satisfied five(5) O’Level credits in the subjects relevant to the course of study. Candidates are to visit http://portal.theibarapapoly.edu.ng/ and follow the instructions to complete their applications. Deadline for submission of application forms is Friday, 23rd September, 2016.